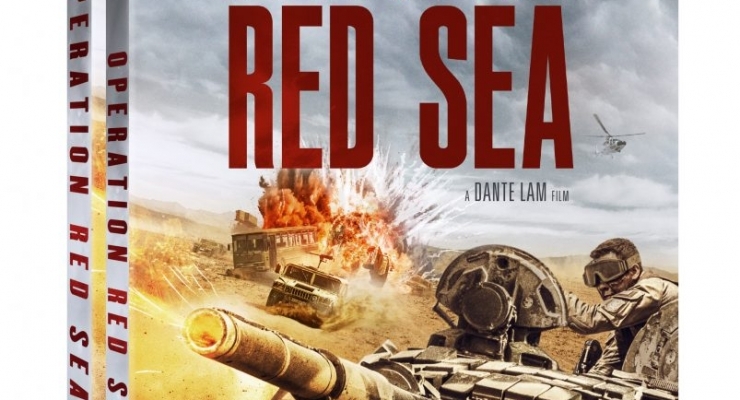 Operation Red Sea is the follow-up to action director Dante Lam’s 2016’s smash Operation Mekong and is also similar in theme to the 2017 actioner Wolf Warrior 2. This nonstop roller coaster ride of a thriller is set in a fictional Middle Eastern country in the midst of a civil war. As a plot by a terrorist leader to obtain nuclear materials under the cover of the chaotic coup unfolds, only the Chinese Navy’s Jialong (Sea Dragon) Assault Team can stop the plot while also helping to evacuate the Chinese citizens safely from the region. Starring Zhang Yi (Goldbuster), Huang Jingyu (Guns and Kidneys), Hai Qing (Finding Mr. Right), Du Jiang (The Wasted Times), Jiang Luxia (Legend of the Naga Pearls), Yin Fang (Fist & Faith), newcomer Wang Yutian and Simon Yam (IP Man), Operation Red Sea is a star-studded action flick that is so incredibly over-the-top from beginning to end one can’t help but sit back and enjoy the spectacle. Although it is purportedly China’s “first modern naval film” and a celebration of the 90th Anniversary of the Chinese People’s Liberation Army and the party’s 19th National Congress, one would be hard pressed to see it as any sort of propaganda film any more than the numerous action films pushed out of Hollywood by the likes of Michael Bay, for instance, whose jingoism is much more covert at times, but no less present. 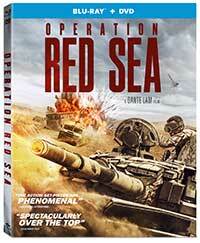 Chinese filmmakers keep getting better at making big budget blockbusters and while some of the visual effects in Operation Red Sea still don’t quite match up to the very best of a Hollywood film, they are getting close, and the deficits are made up for with the quick pacing and intensity of the storyline, even if t does closely mirror the one in Wolf Warrior 2. Operation Red Dragon was shot on the Arri Alexa Mini and Arri Alexa XT Plus in 3.2K and 2.8K with some scenes and shots done on the GoPro HD Hero and on the Red Weapon Dragon at 6K resolution. The Blu-ray arrives in an AVC 1080p 24p encodement from a 2K DI master. The picture basically looks strong and crisp with natural color reproduction and contrast, but there is some mild banding that is perhaps in camera. This can be seen early in the blue sky over the sea and creeps up from time to time. Operation Red Sea comes with an awesome, floorboard rattling Mandarin DTS:X immersive sound mix (compatible with DTS-HD Master Audio 7.1). The battle sequences put you right in the middle of the action with bullets flying, explosions, and helicopters coming from everywhere including overhead. The low frequencies are deep and resounding. The special features are not too special, but the deleted scenes offer up some more of this awesome action spectacle. An exciting action thriller out of China that abounds with kinetic energy, heart-pounding battle sequences, and solid visual effects. Highly recommended. Amidst a coup in a Middle Eastern country, an elite Chinese Navy squad must rescue stranded Chinese citizens while also thwarting the plans of a notorious terrorist trying to obtain nuclear materials in this over-the-top, action-packed follow-up to director Dante Lam's 2016 smash Operation Mekong. This sequel does not disappoint and will leave you exhausted from the thrills.